Commercial Managers are the classical music conducters of business. Powerful in their ability to make others play to their full potential and keep the rhythm of the orchestra. 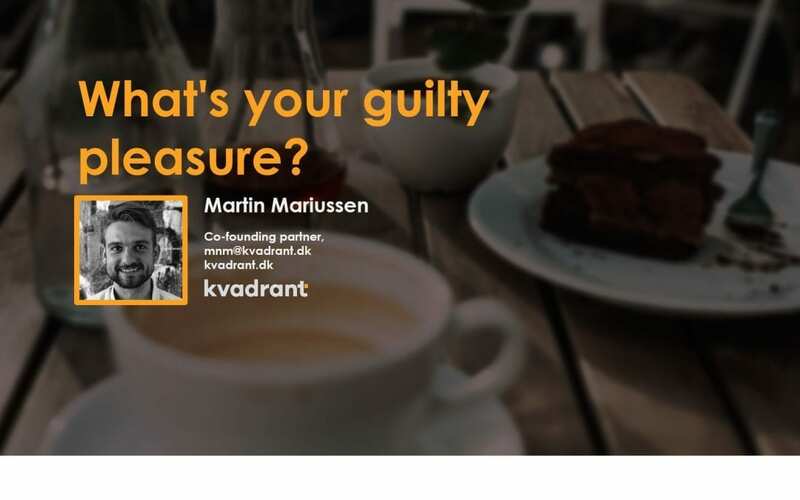 Find out what your professional guilty pleasure is. The thing you’re doing because you want to, despite knowing it’s the opposite of what you need (e.g. solving problems for the members of the team you lead, instead of enabling them to do it). If you think you don’t have a professional guilty pleasure, stop lying to yourself and go back to point 1 above. A few years back I was in Bulgaria, helping a global transportation company make recommendations for how their sales management could be used better, to lift top line growth. I spent a few days in their Sofia office and was able to experience two of the most hard working, dedicated, hands-on sales managers I have ever seen in my life. They were so dedicated that they did not even mind doing the job for the people they were managing. In fact, they LOVED putting out fires, handling problems, helping their reps by taking sales meetings for them. They loved it so much that more than 50% of their time was spent solving ad-hoc problems. But commercial managers are not powerful in their ability to do the work for their sales reps. They are powerful in their ability to enable other people to do their job better and keep the rhythm of the commercial machine. Professional guilty pleasures are the differences between what you need to do, to be effective at your job, and what you want to do (and often end up doing instead). My guilty pleasure is spending far too much time, creating beautiful visual stories in PowerPoint (a professional injury from 7 years in management consulting), when less could do the job. My vanity is to blame. As a manager, I experience difficulties letting go of the production of client material to others. As a result, I don’t leverage myself very well and I’m less productive than I could be. I know all this, but it’s just so damm hard, because it feels so good doing it myself! Only an estimated 12% of the British adult population are able to keep their new years resolution. The one thing for the year, they want to succeed with the most. But they want to eat that cake and smoke that cigarette, despite knowing that they need to not do it to loose weight. It’s David Maister’s fat smoker all over again. Knowing what you should be doing to realise your goal (stop smoking, exercise and eat healthy), but choosing what you want (or choosing not to do what you don’t want to do) over what you need. In the commercial B2B world, this is the sales rep promoted to sales manager who can’t step back from the front-line excitement. He/she needs to empower others to do well, but wants the excitement of winning the sales meeting. Have rules and be disciplined about them: To avoid spending too much time preparing presentations no one buy myself cares about, I only allocate 1 hour / presentation, when making a first draft, and then I have to send it off to a colleague. It’s the old egg timer trick. Similarly you need to set up rules for your professional guilty pleasures to consciously address what you are unconsciously not. You talk to much as a sales rep? Set up a rule that says you have to ask 10 questions in a sales conversation. Decide (really decide) if you actually want to get rid of your guilty pleasure and get a sponsor: Like the alcoholic going into recovery, you need to decide if you REALLY want to give up your guilty pleasure? It’s going to make you more effective, but are you willing to give up a thing you enjoy doing for it? If yes, then get a mentor, coach or sponsor that you share your ambition with and set up regalar calls to review progress (or relapses). Please share, like and comment about your professional guilty pleasures and how you tackle them!